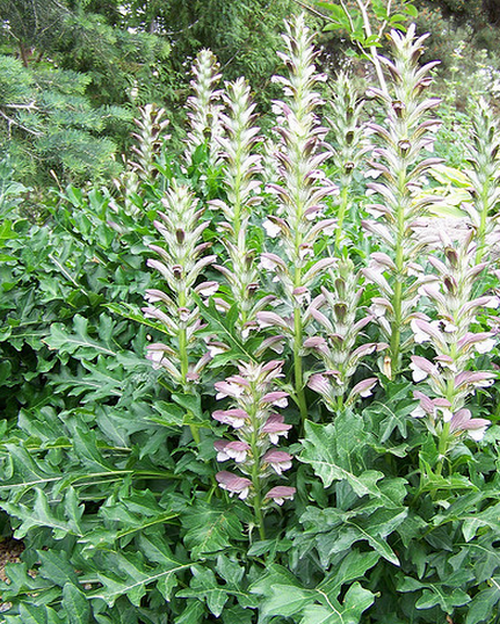 The Acanthus hungaricus plant is commonly known as Hungarian or Long-leaved Bear's Breeches. It is a member of the thirty strong Acanthus genus, which itself is a member of the 2,500 strong Acanthaceae (Acanthus) family. The genus is native to the Balkan and Mediterranean areas, and so is ideal for growing in warm temperate regions. Plants grow vigorously once established and may become invasive in the garden if not controlled. The foliage of Acanthus hungaricus has a more compact nature than the commonly grown Acanthus mollis (Oyster plant / Bear's Breeches). Acanthus hungaricus species is synonymous with Acanthus balcanicus. It makes an ideal plant for use in a border, and its showy leaves can add interest to the garden during the winter months. Acanthus hungaricus is clump-forming and reaches heights of 90 to 120 cm (36–48 inches), and has a spread of up to 90 cm (36 inches). The oblong to ovate leaves are deeply lobed, leathery, shiny and dark green. Plants bloom in the summer and carry racemes of light pink to white flowers with purple bracts atop 60 cm (24 inch) long stems; beware of spikes hidden beneath the flowers. Sow seeds at a depth of 6 mm (0.25 inches) in a tray in compost from late winter to early summer. Cover with a polythene bag or a propagator at approximately 19 to 20°C (66–68°F) until seeds have germinated. Transplant seedlings into 8 cm (3 inch) pots or a nursery bed and keep under a cold frame for at least a full year before transplanting into their final location. Ideally Acanthus hungaricus should be grown in a sunny or partially shaded (especially in hot areas) location. It performs best in zones 6–10, and has been reported to grow successfully in some areas of zone 5 if supplied with winter mulch. Soil should be well-drained. Average soils are fine, but it will perform best in a deep rich loam. Space at 60 cm (24 inches). 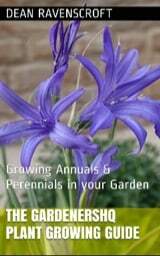 Although fairly drought tolerant it is best to provide a moderate watering during prolonged dry-spells. Cut back flowering stems once blooming has finished. Propagate by division of clumps or from root cuttings in early spring. Divide plants to maintain vigor and to prevent overcrowding. Protect from slugs and snails. It makes an ideal rabbit and deer resistant shade plant in warmer areas. 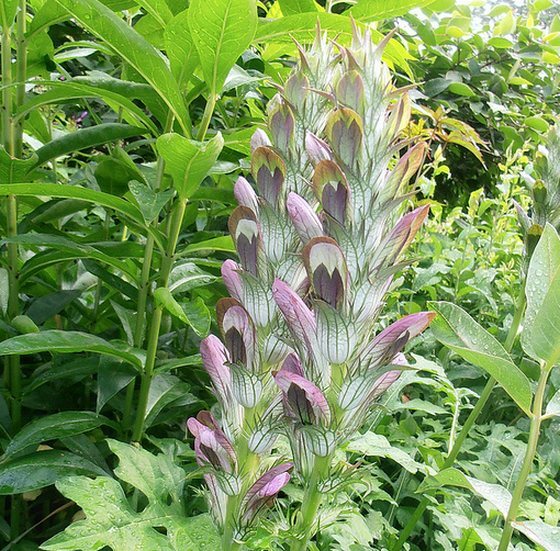 Once established it can be hard to remove Acanthus hungaricus plants from the garden due to new plants being produced from small root sections that are difficult to remove. If you are planning to grow this plant it may be a good idea to grow it in a contained area.